November is an exciting month for backyard astrophotographers as we transition into a new season of fantastic winter deep sky targets. These constellations contain some of the best nebulae and star clusters the sky has to offer. The colder temperatures mean less noise in your images, which is great news for DSLR camera owners. The image of the Horsehead Nebula above is combined data from 2015 and this month. View the complete photo details here. The winter deep sky targets in Orion are arguably the best of the Northern Hemisphere. With my recent addition of a modified Canon T3i and 12nm ha filter, I am anxious to capture these nebulae in a new way. I’ll tell you my top 3 winter deep sky objects further down this post. 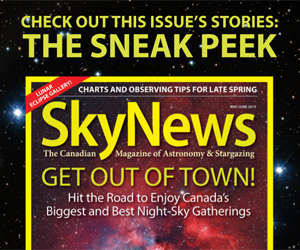 The very first AstroBackyard newsletter was sent out last week. This newsletter covers my latest images, processing tips, tutorials and more. Please subscribe to the mailing list today, and receive my latest DSLR astrophotography information! E-mails are currently delivered about once or twice per month. You have probably all heard a lot about the Supermoon that occurred on November 14th. Media outlets love to hype up this particular celestial event because it consistently receives wide appeal from people across the globe. The fact that the moon appears “super” to the naked eye is the funny part about this phenomenon. 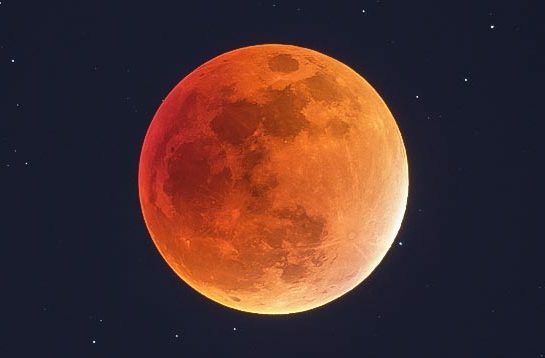 Yes, the moon was 14% larger, and 30% brighter than normal, but this is virtually undetectable to the naked eye, even though people will swear they see a difference. The moon always appears larger when it is low on the horizon due to the relative scale. This time around, the event had an interesting twist. The full moon on November 14th was the closest since 1948! The moon won’t come this close to the Earth again until the year 2034. 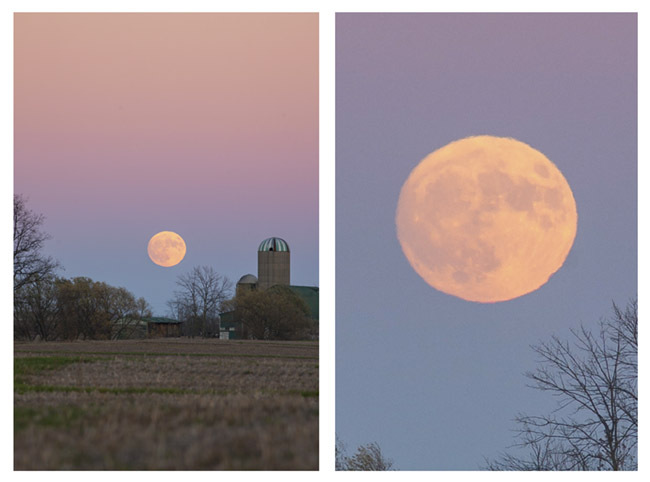 Whether you thought it was “super” or not, a full moon rising on a clear night is worth my attention, every time. 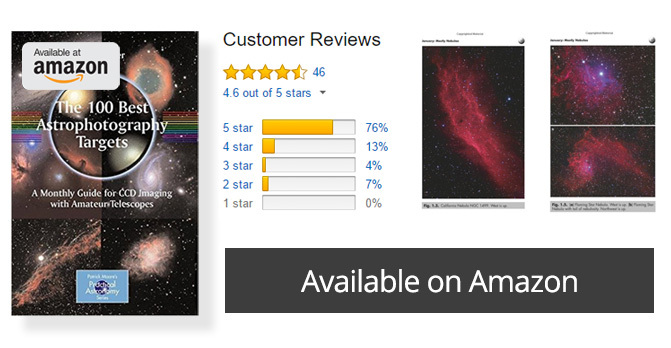 It is nice to see the general public take an interest in a celestial event. Meteor showers also do a good job of grabbing attention in the same way. I experienced my most viral post ever on twitter, with my Supermoon photo seen above. It just goes to show that events like this are appreciated by more than just astrophotographers! 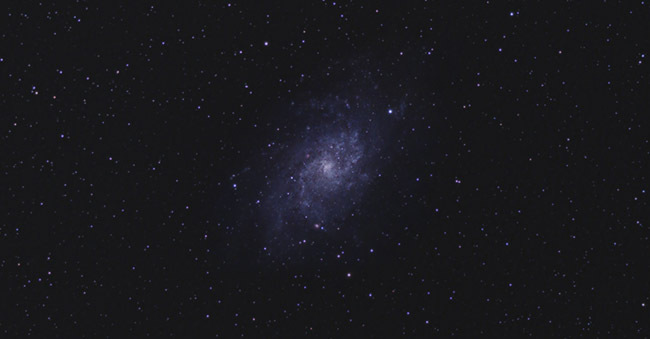 In September 2015, I photographed the Triangulum Galaxy from the backyard. I felt that a re-process was in order as I have learned a few new techniques. The image seen below is a stack of 3 nights worth of imaging with the Canon Xsi. This version is less dynamic than my previous version, but also a lot cleaner. View the full version and complete photo details of the Triangulum Galaxy. I have recently put a focus on overall sky quality. I am guilty of stretching the data too far to reveal as much color and detail as possible in the deep sky object. This has lead to some less-than-pretty background stars and sky color. With lots of great choices in the Northern Hemisphere at this time of year, it’s hard to choose 3 deep sky objects that stand out among the rest. However, these astrophotography targets seem to capture my interest year after year. Is there any surprise here? 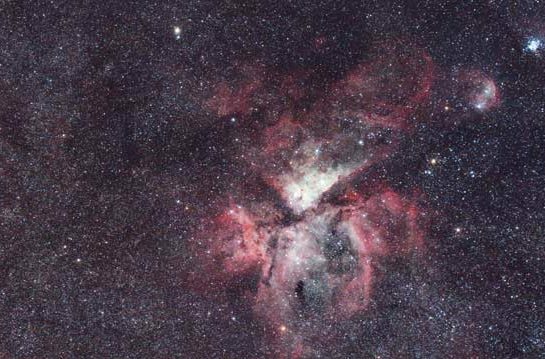 This stellar nursery is the Granddaddy of all astrophotography targets. 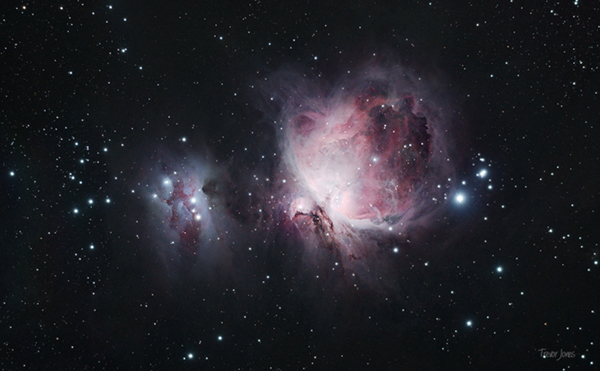 The Orion Nebula is usually one of the first targets for beginner astrophotographers, myself included. The intense color and satisfying results make this a photography project that could last a lifetime. 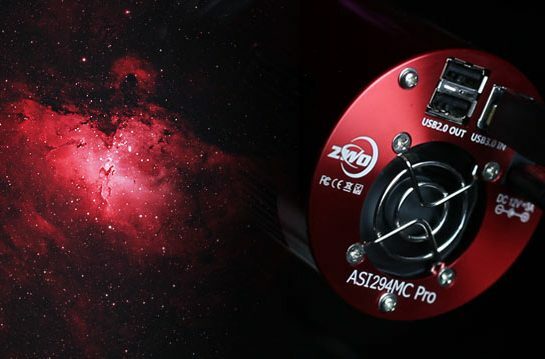 The challenge is a revealing the deep outer nebulosity while blending it with a well-exposed core. This area of the sky is so incredibly interesting, that it’s hard to believe it lies so close to the Orion Nebula. 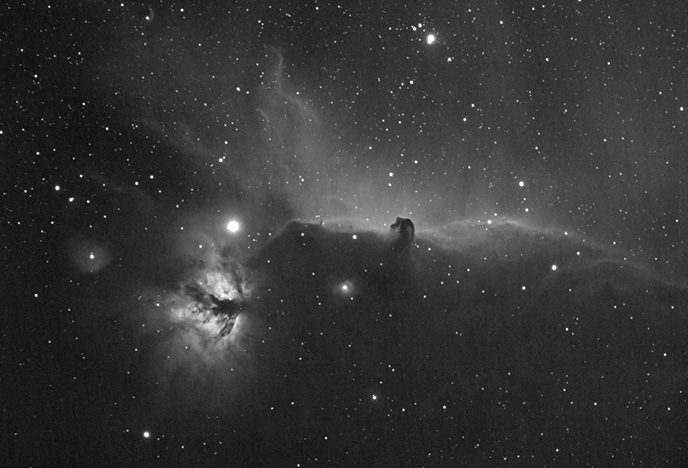 The Horsehead and Flame nebulae reside very close to Alnitak. This is the far left star in Orion’s belt. 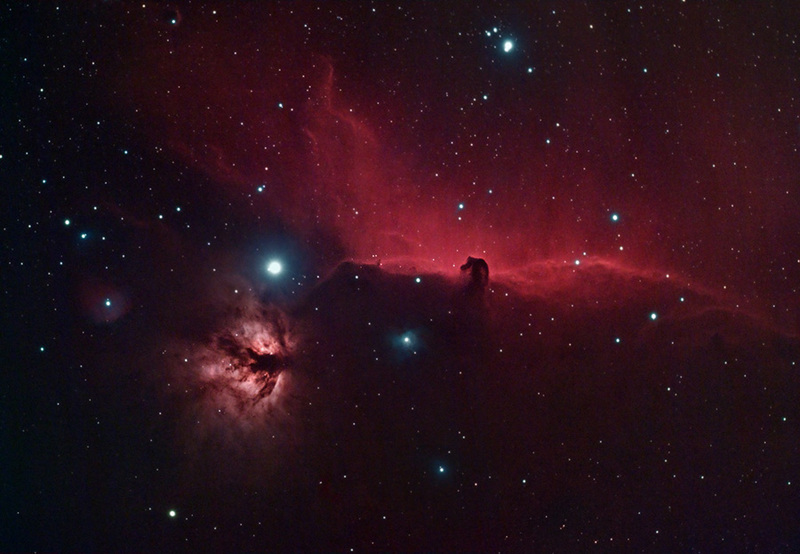 The famous “horses head” can be brought forth in detail by using a hydrogen-alpha filtered DSLR. I experienced this first hand with my Astronomik 12nm clip-in filter. 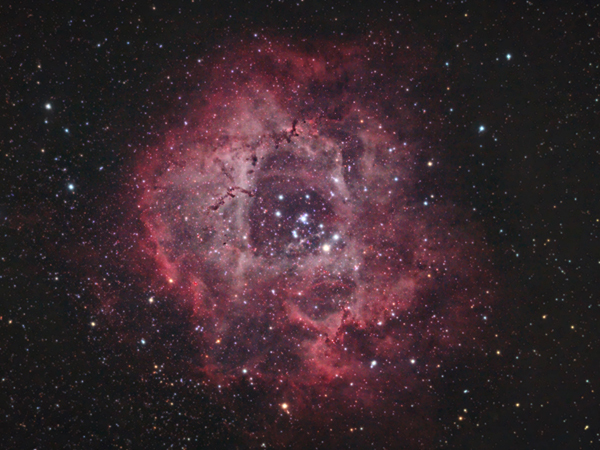 The Rosette nebula was the subject of my first processing tutorial video on YouTube. This object can be recorded in great detail with or without a modified DSLR. The photo below was captured in February 2014 with a stock Canon Xsi. Classified as NGC 2237, is located in a neighboring constellation to Orion known as Monoceros. All 3 of these winter deep sky astrophotography targets are located in the same region of the Northern Hemisphere sky. From my latitude, they travel from East to West in an arc looking south. 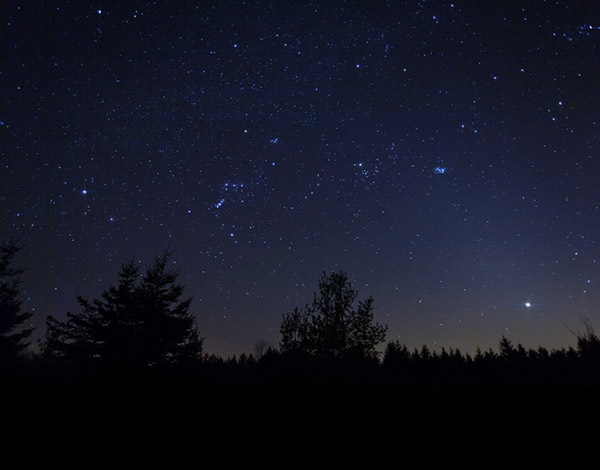 Click here for star charts to find all of these winter deep sky objects. 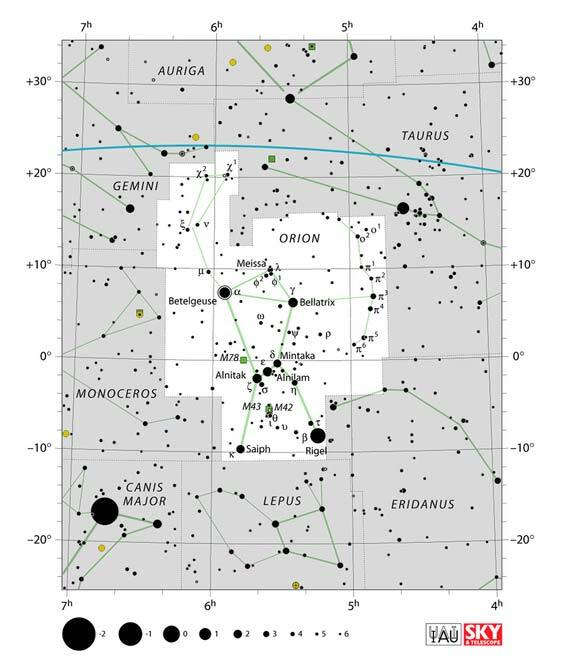 Map of the Orion Constellation from Sky and Telescope. Astrophotography in the winter means long cold nights. Plenty of time for imaging, but harsh conditions on your body and sometimes your gear. 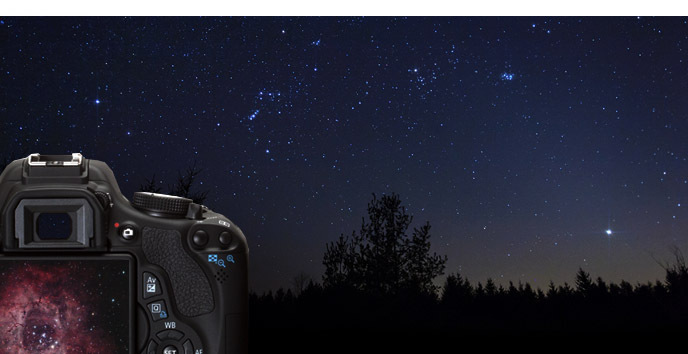 Modern astrophotography equipment was built for the elements, and can safely operate in sub-zero temperatures. This includes your precious DSLR! Don’t panic when you check on your rig and find your camera covered in ice crystals. The colder temperatures mean less thermal noise recorded in your images. A camera sensor running at 0°C is a welcome change to those hot (noisy) summer nights. 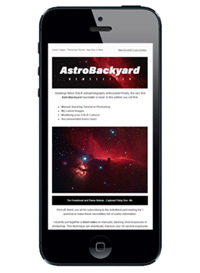 Follow AstroBackyard on Facebook for my latest astrophotography images and information.